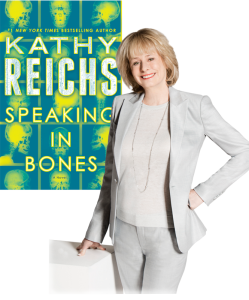 The New York Times bestseller, forensic anthropologist and producer of the hit Fox TV series Bones on her new novel, Speaking in Bones. With Toronto Star’s Deb Dundas. Ticket Holders: Doors open at 6 pm. Please join us for a cash bar reception starting at 6 pm. As most Appel Salon events are free, it is our policy to overbook. In case of a full program, your ticket reservation may not guarantee admission. Ticket holder lineups for sold out events begin as early as 4pm.